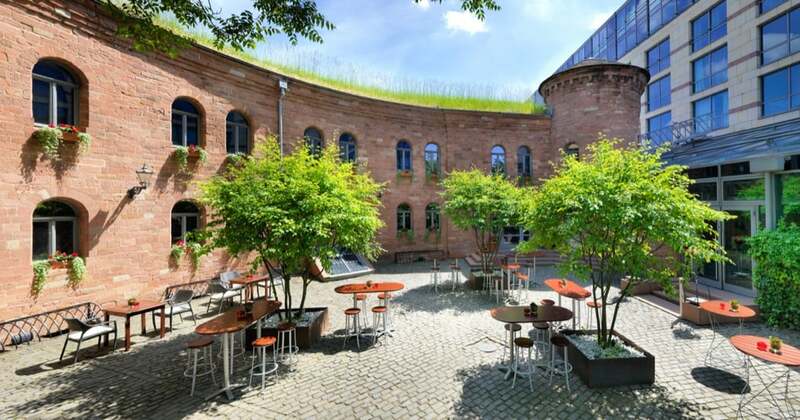 Hyatt Regency Mainz has a stunning combination of contemporary design mixed with the historic charm of the integrated Fort Malakoff. 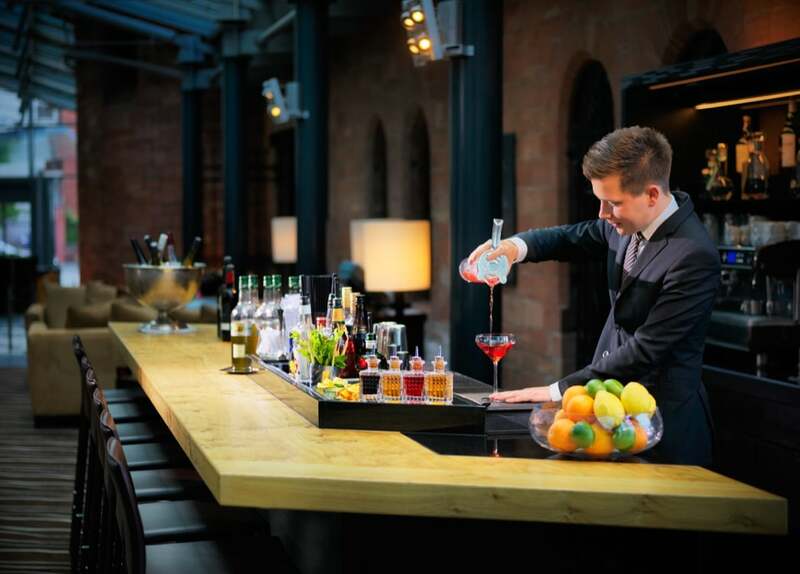 It’s lies on the west bank of the Rhine River near Mainz Old Town, a 10-minute walk from Mainz Cathedral and offers excellent connections to Frankfurt International Airport. 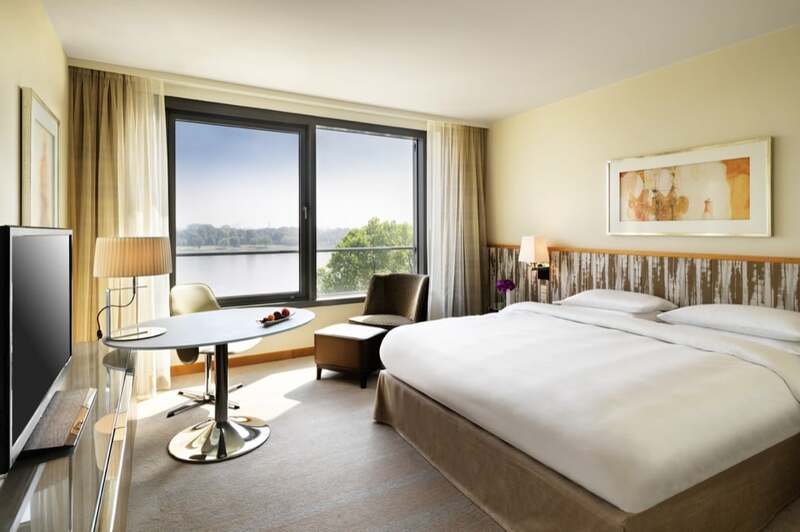 The 268 guest rooms and suites have recently been refurbished with mid-century modern décor and offer stunning views of the River Rhine and Mainz. Upgraded rooms add rainfall showerheads and or river views, Regency Club Rooms include access to a lounge for complimentary breakfast and other exclusive club privileges, and Suites include separate sitting areas, one even features a piano, a kitchen and a sauna! 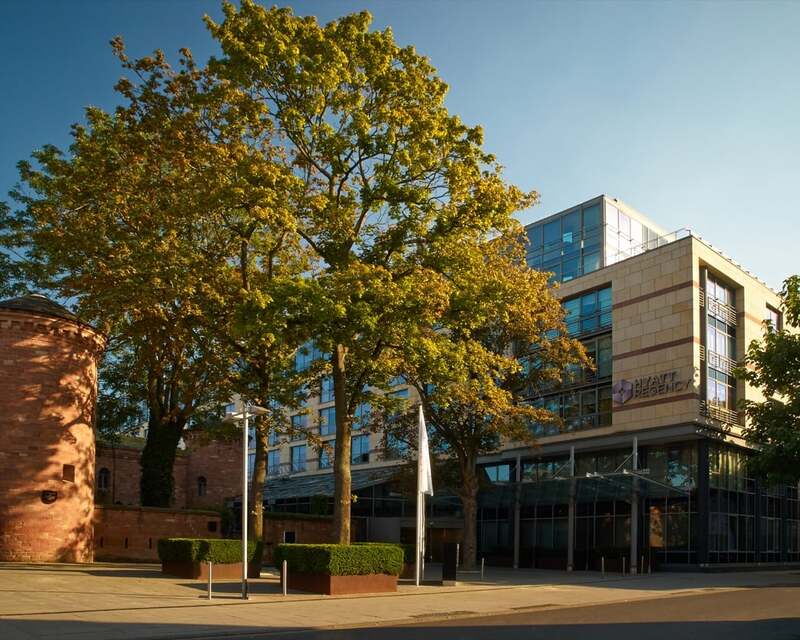 The hotel features a spa with indoor pool, whirlpool, sauna and personalised wellness treatments; and a modern gym with equipment from Technogym. 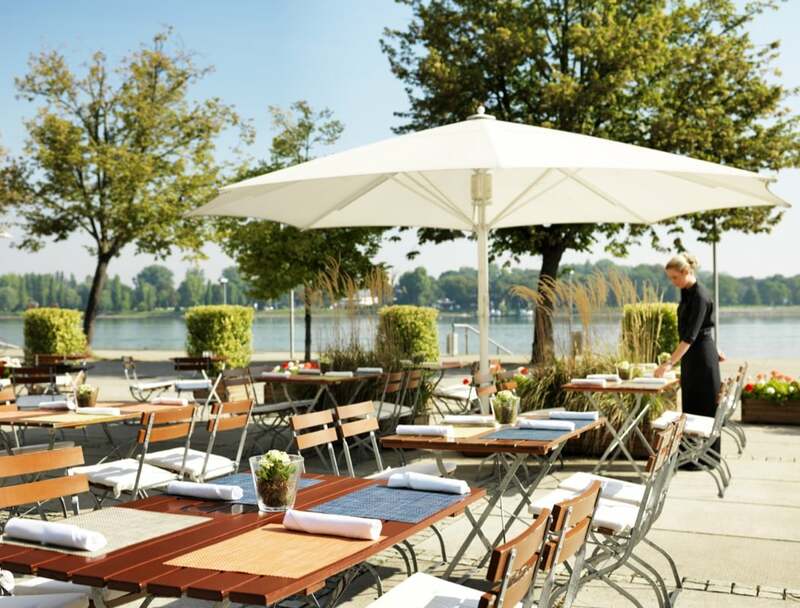 You are spoilt for choice with restaurants and bars; the Bellpepper Restaurant serves regional and seasonal cuisine paired with German wines; the Rheintöchter Terrace and Rheinkanzel beer garden offer stunning views of the Rhine river and BBQ specialties; the Malakoff Bar offers trendy cocktails and tapas-style dishes in a historic setting and at the centre of the hotel, the recently refurbished M-Lounge & Bar serves snacks, coffees and evening cocktails. For a golf resort on the Rhine, the Jakobsberg Hotel & Resort is an ideal choice. 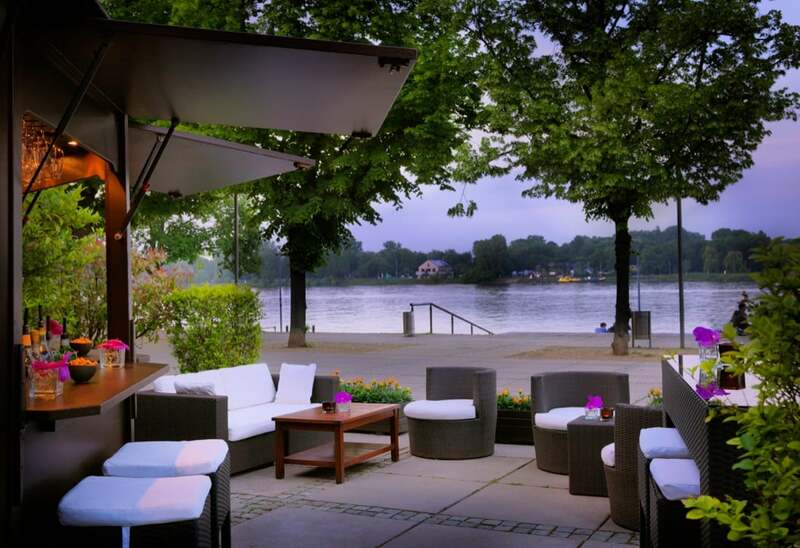 The elegant 4-star hotel overlooks the Rhine River and is situated 3.6 km from Spay train station near the wine-growing town of Boppard and 43.5 miles from the mythological Loreley rock in the UNESCO Middle Rhine Valley. Most of the guest rooms and all of the suites have balconies or terraces with views over the golf course or of the river. Opt for a suite to take advantage of the separate living rooms and whirlpool tubs. There’s an 18-hole golf course and offers a spa with a relaxing indoor swimming pool, sauna and hammam. Skittles, mountain biking, and clay pigeon shooting are also possible. 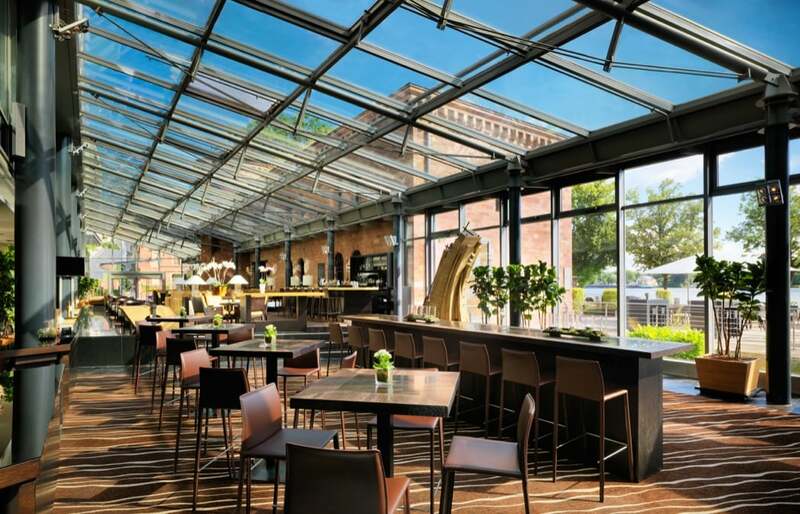 There are 2 restaurants serving regional German specialities and international dishes, one of which has a stunning glass pavilion, plus a terrace directly overlooking the River Rhine. 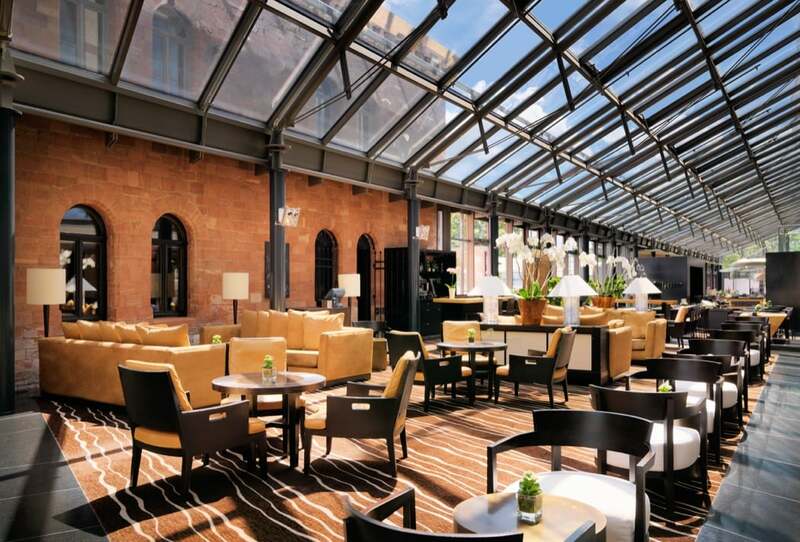 This elegant Belle Époque hotel overlooks the Rhine River and is situated 16.2 km from the Rhine Gorge valley and 29.5 km from Marksburg Castle. For accommodation choose from single rooms, double rooms, suites and apartments and for each room type you can choose your view; city or river, opt for the Double Room Grand Deluxe for a more refined experience. The hotel has more than 125 years of family tradition and the sense of history is evident throughout. 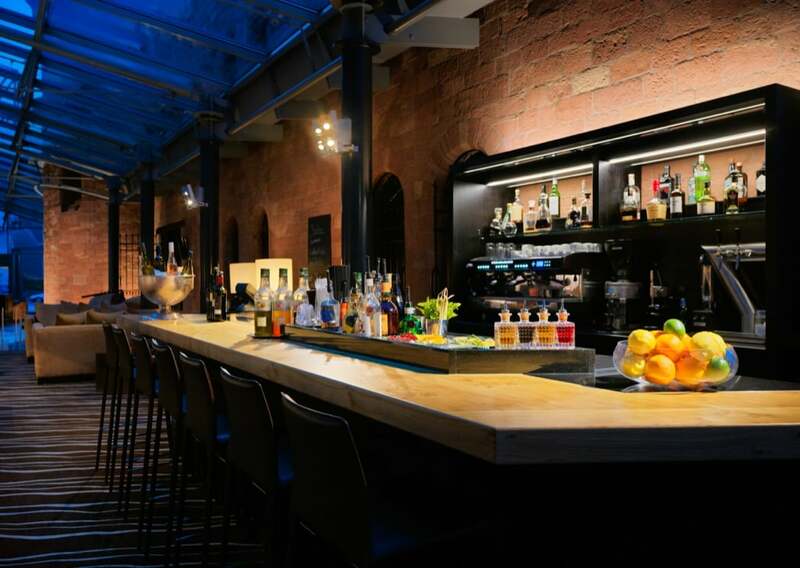 There are 3 refined restaurants, 1 with seasonal riverside dining, plus a wine cellar with vaulted stone walls, and a bar. Other amenities include an indoor pool, a fitness centre and a sauna, plus meeting facilities. The beautiful 4-star villa hotel, Park Hotel Bad Salzig, is located in Boppard just 650 yards and a pleasant 12-minute walk from the River Rhine and Bad Salzig Train Station, 14.1 km from Maus Castle and 10.6 km from Rheinfels Castle. 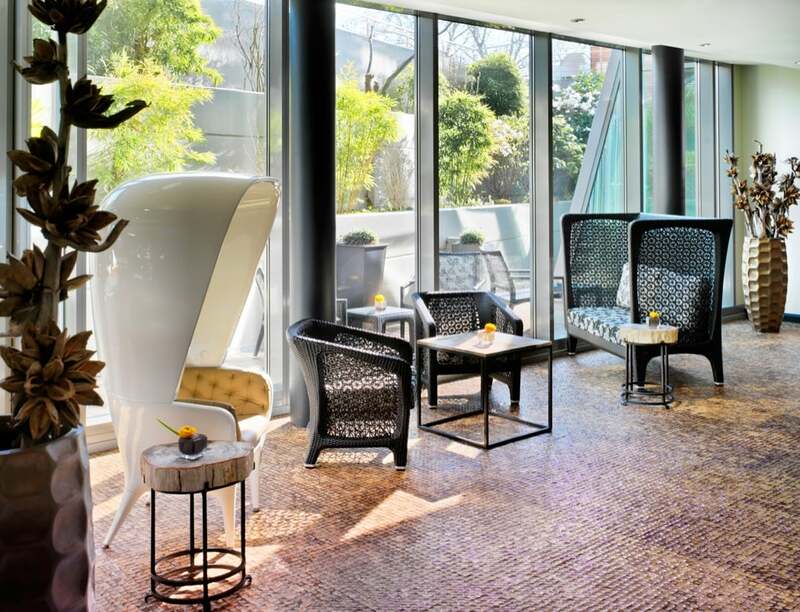 Dating from 1908, the hotel is a quirky delight with plush guest rooms individually themed based on artists such as Botticelli and Renoir, and places including Venice and Provence. Some of the 91 rooms feature balconies and window seats and a few have wonderful full wall murals, luxury travellers should opt for the Superior Rooms. The hotel’s spacious spa area includes a sauna, an Oriental steam room, and a gym. Beauty treatments and massages can also be booked. A rich breakfast buffet is served each morning in the conservatory. 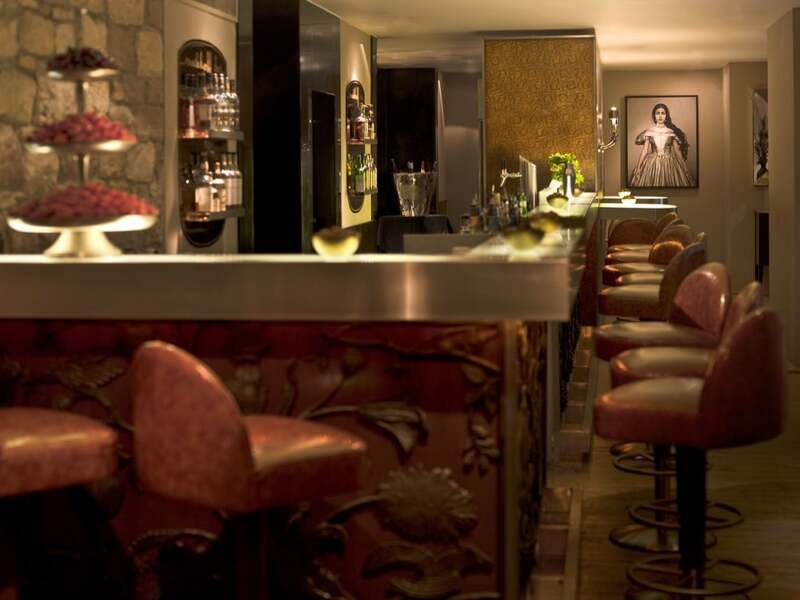 Guests are welcome to relax on the summer terrace or in the bar and there are 2 restaurants. This cosy 19th-century Landhotel Becker lies directly on the Rheinsteig, in the heart of the romantic Mittelrheins near the Loreley. You are 2 km from Kamp-Bornhofen train station, 13 km from Burg Rheinfels and 4 km from history exhibits at Museum Boppard. The guest rooms are traditional, homely and comfortable with wood furnishings, some have mini fridges and balconies and there are also apartments. 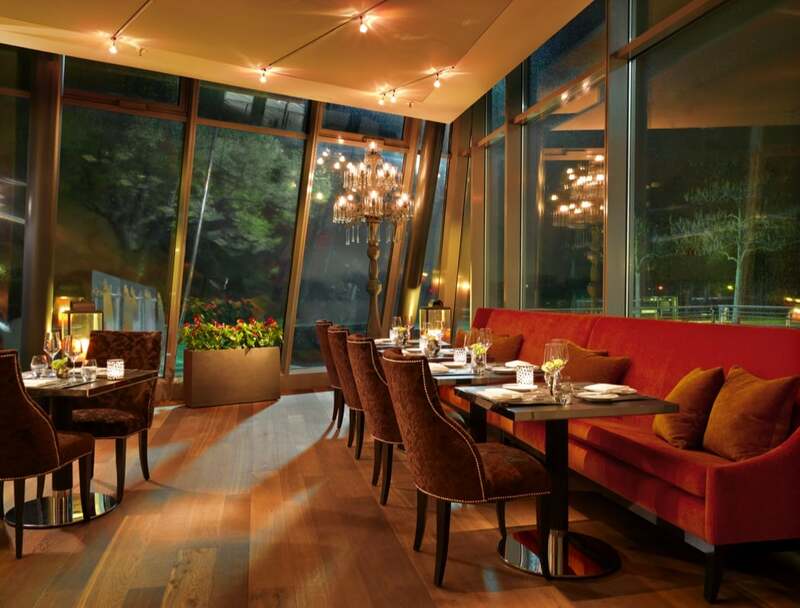 There’s a country-style restaurant and a rooftop terrace, as well as a wine cellar, and a relaxed bar with a fireplace. A low-key spa offers massage services and a Finnish sauna.